The Distance Learning & Instructional Technology (DLIT) Department of Southwest can help you advance a career, work on a degree or certificate, or achieve personal goals…all without missing a day of work or play. Distance Learning offers affordable educational programs and courses that meet the needs of an ever changing lifestyle. The cost of our tuition is well below that of any four-year university and our credits are transferable. SWCC is an accredited institution of higher learning and thereby held to the high standards of the Southern Association of Colleges and Schools. With over 30 years of experience delivering distance education, we have built a reputation for quality service and support. Regardless of the delivery method: Internet-based, Compressed Video, or Video (DVD), our courses and curriculum are built to help you achieve success. Is DLIT right for me? Are you a good candidate for distance learning? Distance Learning courses can be challenging for certain types of students. Effort is required in communicating with your instructor, as well as in keeping organized and staying on a schedule. One must be able to work independently, but be comfortable reaching out for help as often as necessary. Before enrolling in an online course, you should first assess your readiness for stepping into the online learning environment. Please take a minute to use this SWCC Distance Learning Readiness Survey and learn about skills you may need to develop for distance learning success. The following requirements are highly recommended. While slower processors and RAM may be functional, you may find using them unpleasant. It is extremely important that you have a reliable ISP, especially if your course requires that you take tests online. If your ISP tends to drop your connection, you may have to retake tests. Not sure of operating system or browser version? Click here to check it. How are the Distance Learning courses delivered? Hybrid classes are those that meet face-to-face but have some sessions that are delivered by other means–like video, online, via Blackboard, etc. Students have the combined experience of meeting their classmates in person as well as the flexibility of time outside of the classroom to work independently. These classes are indicated by the word hybrid on the class schedule. Interactive Classroom Video Classes are two-way real-time video courses taught in electronic classrooms. Interactive classroom video courses are synchronous, meaning the student must attend at the time designated for the course. However, students may attend at the originating site (send site) or at any of the receive sites listed in the course schedule. Interactive Classroom Video courses are designated by C or D section number. For example, MTH-163-D1 would originate at SWCC, with the student having the option of attending at SWCC or at the Booth Center in Grundy. These courses are listed as Electronic Classroom in the online schedule. Media Delivery courses are on Blackboard. Once you have access to your course through Blackboard, familiarize yourself with the course page to locate your syllabus and course due dates. Your course may incorporate streaming media, which contains videos where you will gain information similar to if you were listening to a lecture in a face-to-face classroom. If you do not have dependable internet access, most of the course videos are available on DVD in the Distance Learning department, Dellinger Hall, room 101/107. In addition, the Blackboard course page will also indicate if you are required to contact the Distance Learning office to obtain other materials and for testing information. These courses are listed under Media Delivery in the class schedule. 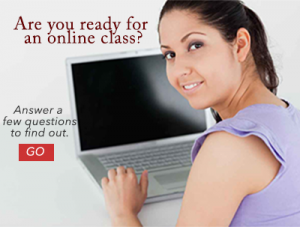 WWW Online courses are taught via the internet (internet based). Most WWW Online courses are taught using Blackboard but may also include other internet-based materials, PowerPoint, special software, listservs, and email. Students registering for these classes must have full internet access including email accounts. Take a look at the following web site to ensure that you have everything you need to be successful in your course: http://ddl.sw.edu . Questions may be directed to DDL staff by calling 1.800.859.1513, email questions to ddlinfo@sw.edu , or to the specific academic instructor whose email address follows the course listing. To begin most online courses, students need to obtain their username and password by following the directions at https://sw.my.vccs.edu and then contact the instructor via email. WWW Online courses are indicated by the section W plus a number (for example, English 112-W1), and the listing will be followed by the instructor’s email address on the printed schedule and are labeld Internet Based in the online schedule.. If I take an online course, do I ever have to come to campus? It depends on the course. For hybrid or video courses, you will need to make contact with the Distance Learning Department to pick up your course materials, (i.e. syllabus, videos, etc.) Courses that are entirely web-based do not require you to visit our office. If you’re unsure, call the Distance Learning Department with your course information available, and they will help you determine your best plan of action. You may or may not have supervised tests. Click here to visit our Testing area for more information on this topic. Are Distance Learning courses easier than classes on campus? Distance learning courses have the same objectives and materials as on campus courses, they are just geared to allow the student more flexibility in scheduling their time in completing all course requirements. SWCC is ranked #6 of Virginia's community colleges for excellence in online offerings. Southwest Virginia Community College has been approved by Virginia to participate in the National Council for State Authorization Reciprocity Agreements. NC-SARA is a voluntary, regional approach to state oversight of postsecondary distance education. Learn more about how SWCC's participation in NC-SARA benefits you as a Distance Learning student.